Two: Client (the taxpayer) gives the accountant a QuickBooks file and wants the company file to contain all adjustments that were used for the tax work and given back to them … Ouch. 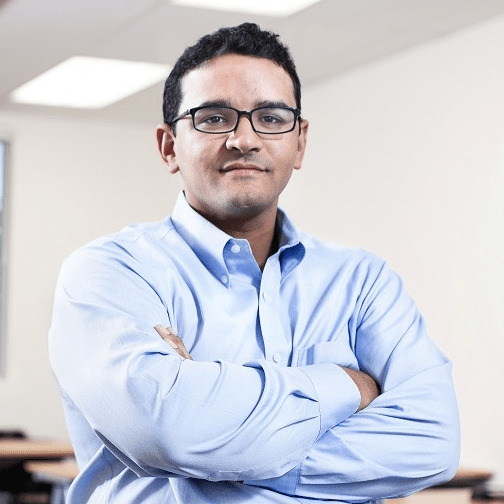 Most of us are really only concerned with the second scenario; most accountants reading this know how to write-up financial statements on a cash basis with QuickBooks. The list goes on and on, but the problems are especially present when the client did not work with the accountant to review the books on a monthly/quarterly basis and the client’s bookkeeping staff (if you can call them that) has no formal training in QuickBooks or any accounting knowledge at all. So, the question is, as an accountant using QuickBooks 2013, what are the tools to tackle this debacle? Request an Accountant’s Copy of the QuickBooks File. If the client give a Portable File or Backup File, it is important to urge the client to STOP doing any accounting work to be able to receive the adjusted QuickBooks file when the accountant is finished. The alternative to this would be to do the work at the client’s office or work remotely on their file so no transfer is ever necessary. Review the file for the actual things that were done correctly, such as verifying open invoices and open bills with client and deleting or writing off any that should not have a balance. Reconcile the banks, enter missing transaction, and delete all un-reconciled transactions that are not specific outstanding checks or deposits that are confirmed in the first couple of days of January. Create Credit Card accounts if not done by client and enter ACTUAL credit card charges and get rid of “credit card bills.” It is important to put the actual vendor on all the transactions for later review. Pull a filtered report to show all transactions in the Income accounts and look for any debits that are likely not to be in the Income accounts. Pull a filtered report to show all transactions in the Expense/COGS accounts and look for any credits that are likely not to be in these types of accounts. Review expenses that are usually in “office supplies,” “Office expense,” and “Computers and Internet Expense” for transactions with high amounts; the idea is to try to identify purchases of Fixed Assets and reclassify them as such. It is recommended that all transactions that could not be identified because the vendor/customer information is missing or the nature of the transactions is unclear, would be to classify these them as “Ask Client” as an Other Expense account. Then, pull a filtered report with just these transactions to send to client for research. Using Adjusting Journal Entries, by checking the ADJ Box on top of the journal entries window. This will allow you to easily review the Working Trial Balance before and after these adjusting entries, also you can double click on any of the figures in the adjustments column and review all the journal entries affecting that adjustment. Use the Reclassify Transactions function under client Data Review to easily change the expense accounts for a particular vendor or a group of transactions in classified wrong account. Use the REVERSE function in the General Journal Entries window to create complete reversal of the temporary adjustments for the following year. Fix Unapplied Payments for Customer and Vendors under the Client Data Review Window, this tools allows you to apply any payments to the vendors to open bills and vice-versa with customer invoices. Clear Undeposited Funds from the Client Data Review Window, this tool allows you to match-up received payments against bank deposits that were entered as income, but leaving Undeposited funds overstated. Write-off in batch all invoices that are duplicated or already paid off, this is the fastest way to write off invoices for MULTIPLE customers in one shot. 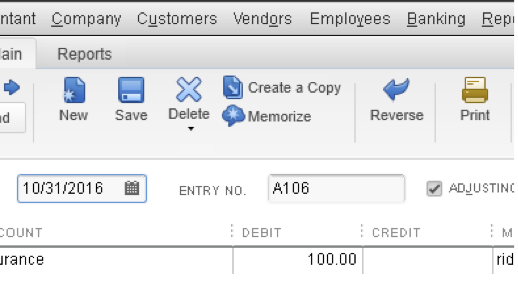 Batch Enter Transactions by quickly inputting check or deposit data in the spreadsheet style module, also easily copy/past from Excel. 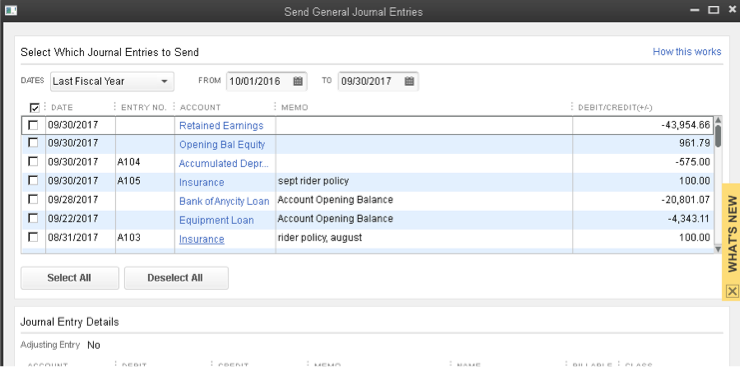 Finally, Send Journal Entries to your client if you are not working on an Accountant’s Copy or the client’s actual file, this tools allows you to just email the client the journal entries generated by accountant to have client’s financial statements match. Using QuickBooks Accountant during tax time is all about saving time. For must accountants in the tax business, getting work done faster is crucial to increase accuracy and capacity to maximize profitability during the most crucial time of the year.